Walter’s Muse follows Okimoto’s debut novel for adults, The Love Ceiling, a Season’s Reading Pick of the King County Library System, selected by booksellers for the Indie Next Reading Group List, and the winner for ebook fiction in the 2009 Indie Next Generation Awards. It’s the first summer of her retirement and librarian Maggie Lewis is relishing the unfolding of sweet summer days on Vashon Island: walking on the beach, reading the classics, and kayaking. But in June when a sudden storm hits the island, Maggie’s summer becomes about as peaceful as navigating white water. Not only does her wealthy sister arrive uninvited with a startling announcement; but Maggie finds herself entangled with her new Baker’s Beach neighbor, Walter Hathaway. A famous children’s author and recovering alcoholic, Walter has a history with Maggie they would each like to forget. Delightfully told with humor and insight, Walter’s Muse is a page turner for romantics, writers, and the young at heart at any age. 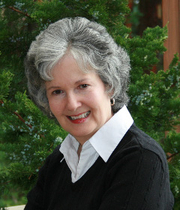 “A joy to read!” – Rayna Holtz, Librarian, King County Library System ret. “For those who believe in second chances in love and life, Walter’s Muse provides a warm and engaging blueprint. Okimoto’s loveably quirky characters become a reader’s friends and family. I hated to finish the last page.” - Connie Burns, School Library Journal, reviewer, ret. Jean Davies Okimoto is an author and playwright whose books and short stories have been translated into Japanese, Italian, Chinese, German and Hebrew. She is the recipient of numerous awards including Smithsonian Notable Book, the American Library Association Best Book for Young Adults, the Washington Governor’s Award, and the International Reading Association Readers Choice Award. Her picture book, Blumpoe the Grumpoe Meets Arnold the Cat was adapted by Shelly Duvall for the HBO and Showtime television series “Bedtime Stories.” Jeanie began writing for adults when she and her husband Joe retired to Vashon Island in 2004 where they are visited by deer, a raccoon named George who is missing a tail, and their six grandchildren. Jean Davies Okimoto is a LibraryThing Author, an author who lists their personal library on LibraryThing. Jean Davies Okimoto's book The Love Ceiling was available from LibraryThing Member Giveaway. Jean Davies Okimoto is currently considered a "single author." If one or more works are by a distinct, homonymous authors, go ahead and split the author. Jean Davies Okimoto is composed of 3 names. You can examine and separate out names.